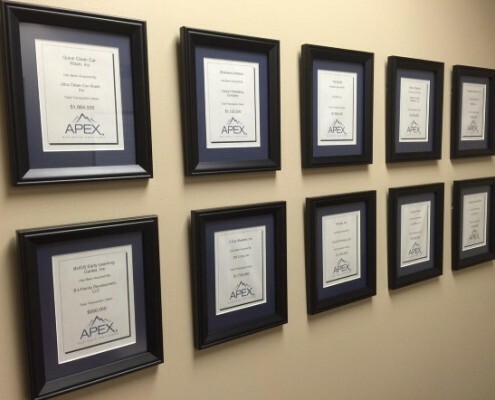 For Buyers, Apex Business Advisors serve as a single source for thousands of businesses listed for sale. Our advisors, in turn, work with Buyers to target specific business opportunities that match their previous business experience, skills, desires and expectations. We add value to the buy-side of the transaction by streamlining the overall sale process and expediting the time-frame in which a business is transitioned to new ownership. You can review actual operating results, rather than projected results. You get immediate cash flow from the ongoing business activities. You will have trained employees in place (who can train you!). You will have established suppliers. You will have established customers and referral business. You may have existing licenses and permits. The seller will train you in operating the business. In some cases, the seller will provide the financing you need to buy the business.